The Mississippi River’s meandering path has carved out an iconic landscape in US folklore and has become a symbol for human impact on the environment. The river, which was more of a floodplain before it was massively expanded in the 20th century, has become a major industrial and agricultural corridor that cuts through the heartland of the United States. Mississippi. An Anthropocene River is a project by the Haus der Kulturen der Welt that takes its name from the term “Anthropocene,” which refers to the current geological age, during which human activity has been the dominant influence on climate and the environment. As a constantly shifting ecosystem, a catchment of cultures, a dividing line, a water highway for resources and goods, and a sink for pollutants, the Mississippi is a symptom and object of investigation for the radical impact humans have had on the Earth. The objective of the project is to investigate the impact that humans have had on society and the environment. Through field-oriented explorations, it seeks to develop a course of action for mitigating this impact and its effects on daily life in the region. It will unpack ecological and social transformations affecting the river biome at five field stations that span the length of the river, from Minneapolis to New Orleans. Scholars and scientists from many fields, artists, and activists will develop new approaches to research and education while taking into account the diverse nature of both the region and the problems it faces. Mississippi. An Anthropocene River was inaugurated in June 2018 with a symposium at the University of Minnesota’s Weisman Art Museum. At the “Midway Meeting” in St. Louis, the project partners came together to finalize planning for 2019 activities. The first of two Field Campus seminar events was held last month, where students and locally engaged researchers and artists explored the region and its industrial sites through field trips to refineries and uranium deposits and mapping workshops. A semi-public online seminar will continue conversations started along the river, formulating a new educational curriculum of and for the Mississippi, culminating in early September with another Field Campus at Tulane University. If you would like to contribute to the next Field Campus study, a call for applications addressing researchers from all fields, artists, and environmental activists closes on April 15, 2019. Find descriptions of each individual field station and other ways to get involved here. Mississippi. An Anthropocene River is developed and organized by Haus der Kulturen der Welt (HKW), Berlin, and Max Planck Institute for the History of Science (MPIWG), Berlin, in collaboration with numerous international partners notably the Goethe-Institut Chicago. 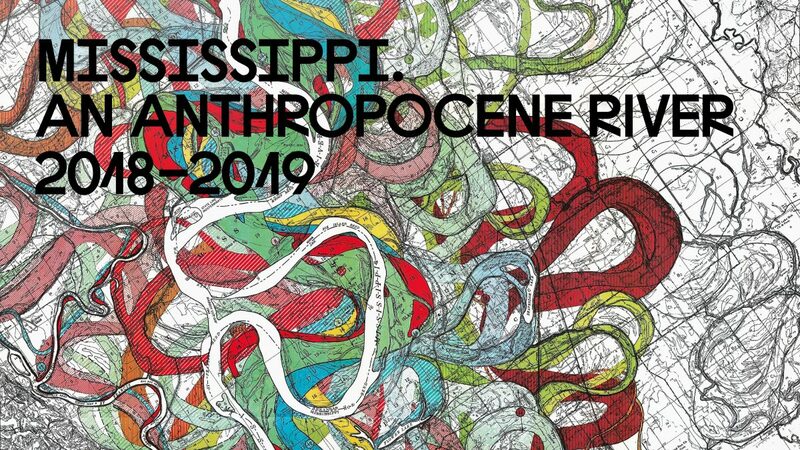 It is a part of the Anthropocene Curriculum (since 2013), an international long-term project for experimental forms of Anthropocene research and education. A new electro-acoustic work, Best Regards Bruno - Letters from Stalingrad. Ralf Gawlick blends recorded and live piano (an instrument Bruno played as a teenager) with spoken text from the last letters and sung text from religious passages and prayers the young soldiers intoned. From April 2nd to April 13th, artist Luigi Toscano will drive the full width of the continental US, stopping along the way to meet American survivors of the Holocaust and discuss the LEST WE FORGET project with university students and visitors at major Holocaust memorial museums.